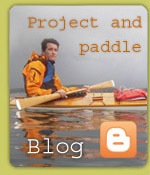 Does your kayak have a loose fit for rolling, doing tricks etc.?... It's easy to make some padding, that will make it fit better. You can use an old foam sleeping matress, or some other foam material. Fold it to the desired thickness, or in case you use bigger foam pieces, simply cut it till it fits well. Tie it to the ribs at the seat, like in the picture. Another option is to sew pockets on the sides of your sea sock, to put the padding into. You may discover difficulties, paddling in strong side winds. There are many solutions to this problem, but this one is one of the best in my opinion. 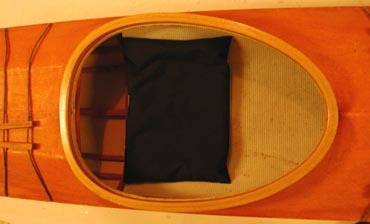 It is simply a loose skeg, attatched to the stern wear strip, using a simple mechanism. For a long paddle in sidewinds, the skeg is attatched. Otherwise, it is stored on deck. With some practice, the skeg can be attatched on the water, with the aid of a second person. 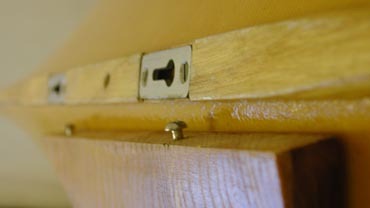 Complete skeg, wear strip, screws and all, can be bought at kajakkspesialisten. Here's some advice from a competition paddler: Are your legs and feet getting stiff and numb when paddling for long distances? Make a pillow and stuff it with polystyrene pellets. You can buy them in furniture stores. Make the pillow quite large. The one in the picture measures 30 x 45 centimetres. And don't stuff it too much. This seat works especially well in large kayaks, like baidarkas and doubles. If your footrest doesn't fit well, or if some other person wants to use your kayak, you can make this simple extra foortrest. 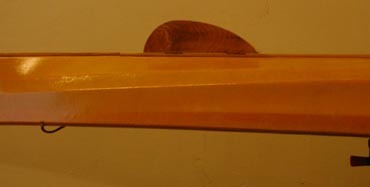 As seen in the picture, a piece of wood, measuring 50 x 20 millimetres in crosssection, is cut to fit in between the gunwales. Once finished to a perfect fit, you simply squeeze it into place. Do you want to cut down on car use? a good solution for you might be: A bicycle trailer for your kayak. The one in the picture is made of aluminium. A much more simple way to do it is to fasten a short pole behind your bike. You fasten a strong rubber cord to the end, and tie it to the tip of your kayak. The kayak is then strapped to a canoe- or kayak trolley, and off you go! 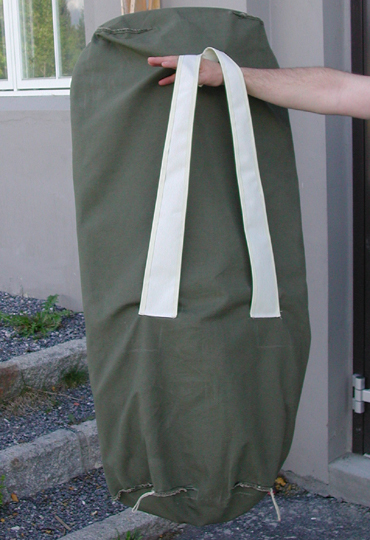 StÃ¥le Beinseth made this smart seasock ruchsack. Two straps sewn on to the sea sock, and carrying your paddling gear gets a lot easier!